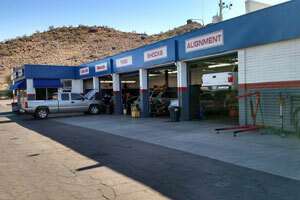 Our auto repair shop is conveniently located in Phoenix, AZ. 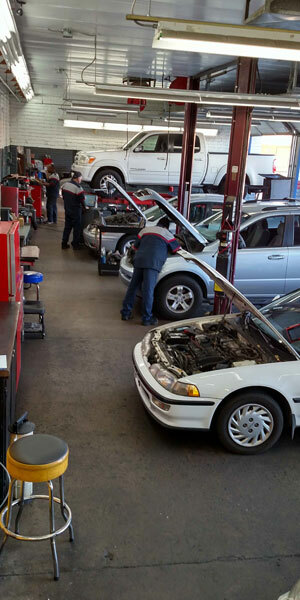 Is your Check Engine, ABS, Airbag, Traction Control, or any warning lights on in your dash? Annoying aren’t they? Our highly trained ASE certified technicians will use advanced equipment and procedures to properly diagnose and repair your vehicle to give you peace of mind without those pesky little lights staring you in the face. Have an old car? 1957 Chevy, 1964 Mustang, or a 1914 Model T. It doesn’t matter. We take great pride in our ability to repair your classic automobile and bring it back to its original glory! Or if you want or bring your old beauty up to date with some new technology, we can perform a variety of retro-fit upgrade options. Want to add Air Conditioning or Power Steering? A 4-Wheel Disc Brake System? Or maybe, Just Maybe, that 400 horsepower, fuel injected power plant you’ve always dreamed of. However you have envisioned it, we will do everything we can to get it there. Although we do not do body work, paint, or upholstery, we have connections with the best in the business. So whatever your needs, we can make your vintage sweetheart the envy of any street you are driving down.